Cellulite is something many of us would prefer to ignore. Nobody is proud of their cellulite. It isn’t what most people consider fit or healthy, and it’s not fashionable. Even the most body positive promoters on the net are perfectly content with their cellulite being concealed by shapewear. Cellulite is lumpy-looking flesh normally found on a person’s hips, thighs and rear end. Medical dictionaries define cellulite as “deposits of subcutaneous fat within fibrous connective tissue that give a puckered and dimpled appearance to the skin’s surface.” Medically, cellulite is referred to as edematous fibrosclerotic panniculopathy. 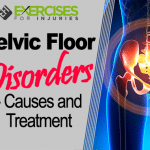 It is much more common in women than men because of the way muscle, fat and connective tissue are situated differently in the male and female bodies. Cellulite also occurs more in older women ― as the skin loses elasticity with age. Although it may be unsightly and embarrassing, most physicians agree that cellulite is normal and not a serious medical condition. Experts don’t know too much about what causes cellulite. Hormones seem to play a significant role ― particularly estrogen. However, there hasn’t been much definitive research to confirm that estrogen does, in fact, cause cellulite. Researchers do agree that heredity plays a role in cellulite. If your mother or grandmother had cottage cheese thighs, there’s a good chance you will too. Another issue is a person’s weight. 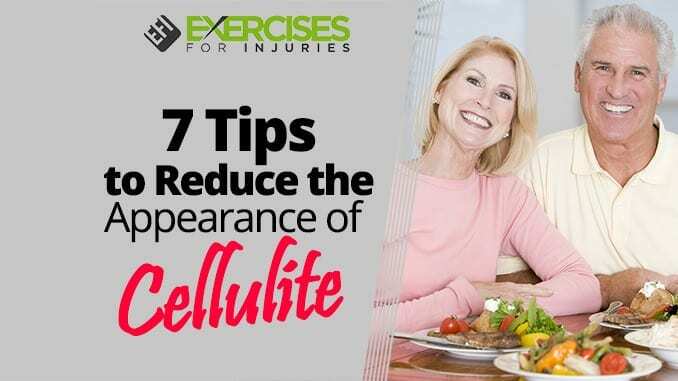 Although cellulite happens to people who are thin as well as those who are carrying extra weight, there may be more pressure on the fibrous tissue connecting the skin to the muscles underneath when you have more fat under your skin. Thus, creating uneven dimples and bulges here and there. So, although being overweight isn’t a cause, it can make a person’s cellulite more noticeable. There are many expensive cellulite treatments available. However, none of them have been shown to make cellulite disappear forever, even if that’s what they promise. Topical creams, compression clothing, chemical injections and liposuction ― all of these risky procedures are offered with the claim that they will remove cellulite. 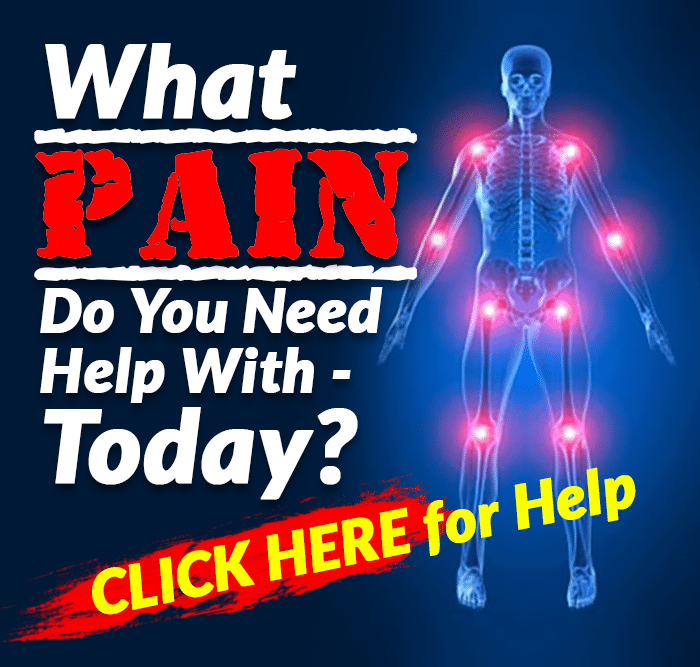 While there are no known cures for cellulite or ways to remove it forever, there are some natural ways you can reduce the appearance of cellulite. We’ve found several noninvasive, chemical-free treatments that do help. If you sprinkle a little flaxseed in your oatmeal on your cereal or yogurt with a little granola, you are unlikely to taste it at all. Aside from the fiber and good fats flaxseed provides, it also promotes the growth of collagen in your body. Collagen is the fibrous protein that makes up connective tissue in your body. Collagen strengthens your skin and underlying tissue, reducing the appearance of cellulite. One of the most effective natural cellulite treatments we discovered in our research is called dry brushing. People are using the method with excellent results. Here’s how to dry brush your skin to reduce the appearance of cellulite. First, find a stiff, natural-bristled brush. Dry brushes for the body generally have a long handle for hard-to-reach areas. Make sure your skin and the brush are completely dry. Then, start brushing the problem areas of your skin in long strokes toward your heart. Dry brushing promotes tighter skin and increases blood flow. The pressure and motion of the brushing are said to help remove toxins from the body by increasing the flow of lymphatic fluid to the lymph nodes where they’ll be excreted. Some dermatologists claim that this elimination of toxins can help smooth the dimpled flesh of cellulite for good. Others suggest that the practice only temporarily reduces the appearance of the cellulite. Either way ― we’ll take it. A particularly easy way to reduce the appearance of cellulite is to massage virgin coconut oil directly onto the areas on your body with cellulite. The coconut oil is absorbed quickly into the skin and can help break down some of the fatty deposits in the cells. People who use this method say that it takes nearly a month of daily use to see some improvements. However, those improvements are reportedly impressive. Some combine dry brushing and coconut oil. The way to combine the two methods is to take a hot shower first. Then, apply virgin coconut oil to the bristles on your dry brush and massage the oil into your dimpled skin with the brush. It becomes a deep tissue massage with the oil and brush. The benefit of combining the methods is that it may help break down some of the fatty tissue and help eliminate the uneven skin. Ah, the clever little foam roller. Foam rollers are not just amazing for rolling out pulled muscles and stretching. 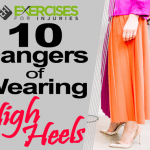 They’re also helping people firm up those puckered and tufted thighs. When you roll your body on a foam roller, it strengthens the fascia, or fibrous tissue, that lies beneath the skin and binds everything together. The reasoning is that, when that fascia is weak, it’s easier for fat to push up against it and cause the telltale cellulite dimpling. The foam rolling helps to smooth things out and tone the fascia and, ultimately, the skin. Some recommend foam rolling after dry brushing. The breakdown of collagen in the body can lead to a greater occurrence of cellulite. You can buy collagen supplements – but they’re pricey. A solid, natural alternative is bone broth. Bone broth is an excellent food to combat cellulite because it’s made of animal bones, cartilage, collagen and minerals. Gelatin is a dehydrated form of bone broth. It’s available in a powder, which is more convenient for those who don’t have time to boil down beef bones to make broth. Be sure to buy high-quality gelatin that’s made from grass-fed cows. You can make some fun, jiggly desserts with gelatin too. We’re not talking about the sugar-sweetened artificially flavored and colored kind, either. Try this recipe. Combine the gelatin and cold water in a medium-sized bowl. Stir until mixed well and somewhat thickened. Add in the near-boiling water to the mixture and stir. Add the juice and mix well until all the ingredients are incorporated. Put the strawberry slices into an 8×8-inch baking pan. Then, pour the gelatin mixture over the strawberry slices. Cover and refrigerate for at least 5 hours or overnight. Serve chilled. If cellulite is our body’s evil villain, caffeine is our superhero. When applied topically, caffeine tightens the skin. When used over time, it’s been shown to improve the appearance of a dimpled derriere. One of the best ways to absorb caffeine through the skin is a coffee scrub. Of course, you can buy a $28 jar of coffee scrub at a trendy boutique. You can also go to the kitchen and make your own for pennies. Consider our do-it-yourself recipe for coffee scrub. Combine the ground coffee and sugar in a glass jar or bowl. Add the olive oil, coconut oil and essential oils if you’re using them. Stir the mixture well to combine. Apply the coffee scrub to problem areas and rinse in the shower or bath. Be careful if you use this scrub in the shower as it’ll make the floor of your shower super slippery. There aren’t many conditions that aren’t made better by a healthy diet and lifestyle. Cellulite is no exception. By avoiding the wrong foods and adding better foods to the diet, you can reduce the unsightly appearance of cellulite. A diet high in sodium will make you retain water and increase bloating. Retained water can contribute to the forming of cellulite in the body. Similarly, a diet high in sugar can cause fluid retention and inflammation. Avoiding high-sugar and high-sodium foods can help you decrease your chances of adding more cellulite to the body. Refined flour and other grains are also things to avoid. They are inflammatory foods that can also contribute to weight gain. Extra weight pushes on that fibrous connective tissue, making cellulite more noticeable. Do your absolute best to clean up your diet. Make fruits and vegetables your main dish at every meal. Then, enjoy small servings of other foods as side dishes. Always make sure you’re drinking enough water. Although cellulite is largely hereditary for most women, and a normal part of aging, there are steps we can take to reduce its appearance. Don’t hit the cosmetic counter for a tube of the latest and greatest wonder cream. Instead, try a few of these simple techniques to firm up, smooth out and improve the appearance of your hips, thighs and rear end. 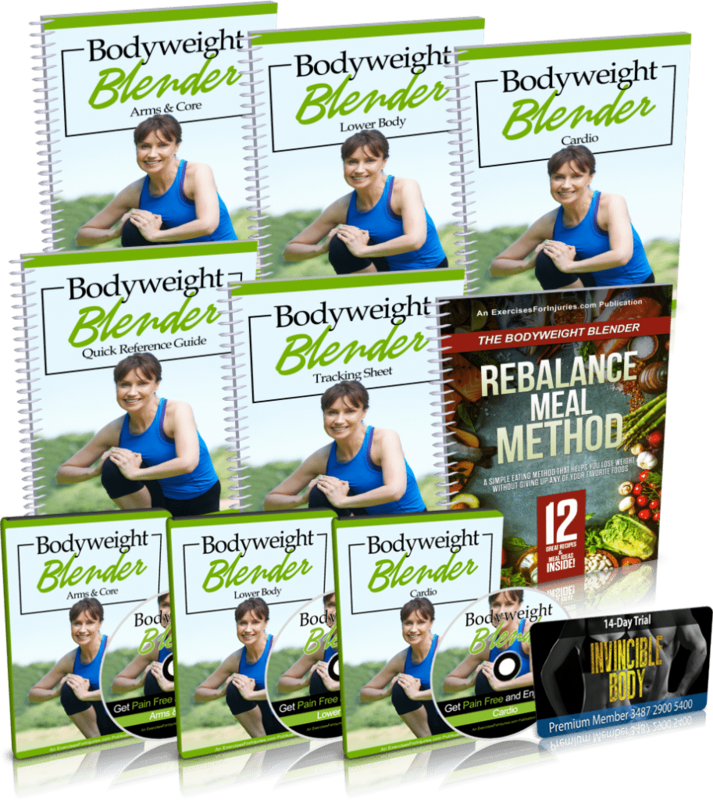 If you want to lose weight, build muscle, have more energy throughout the day and get healthier without having to become a total health and fitness nut, then check out the Bodyweight Blender program.